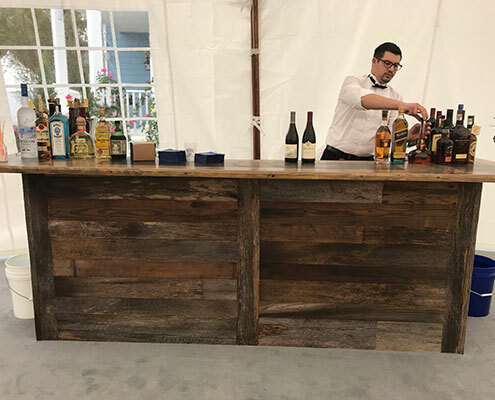 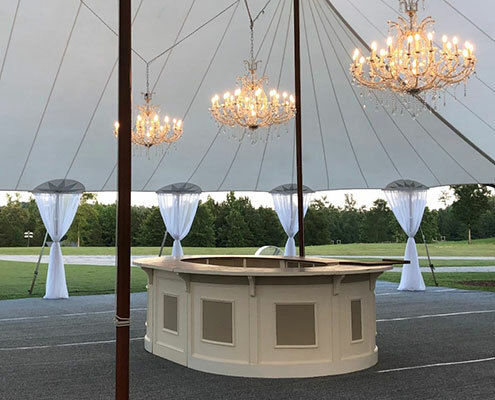 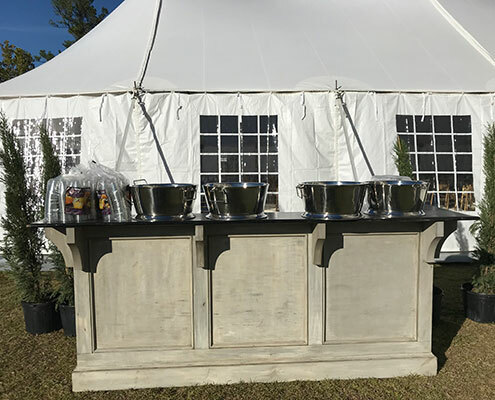 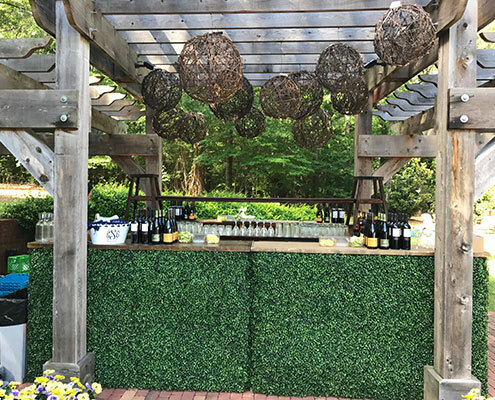 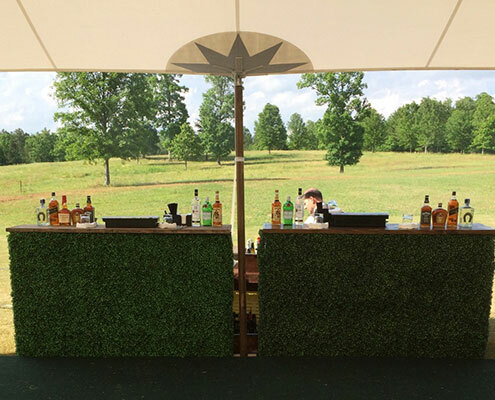 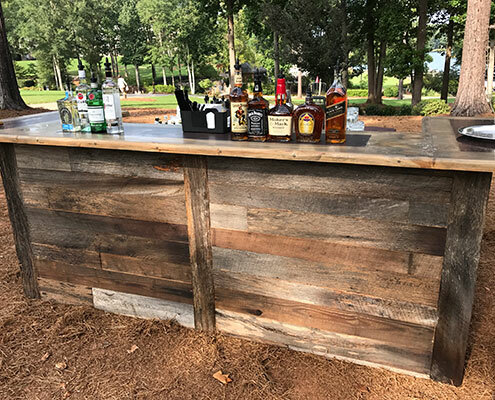 Our wood bars have interesting details to set the tone for your event. 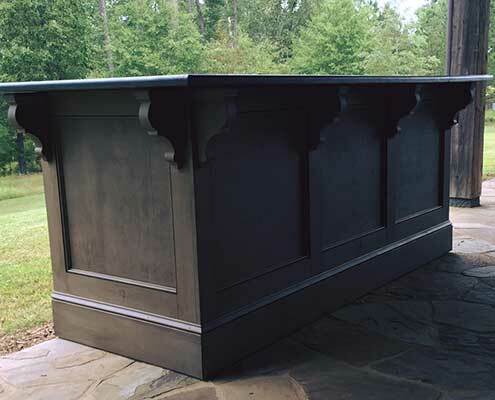 We offer our standard wood bars in Antique, Light Antique, Dark Antique, and White. 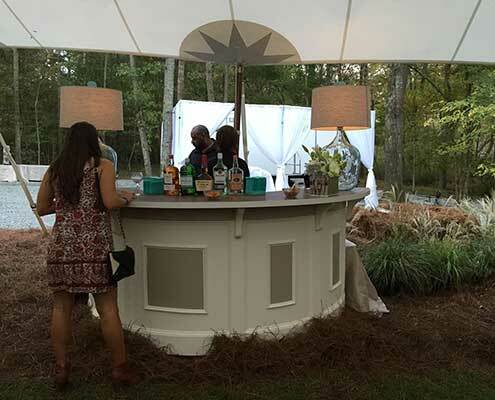 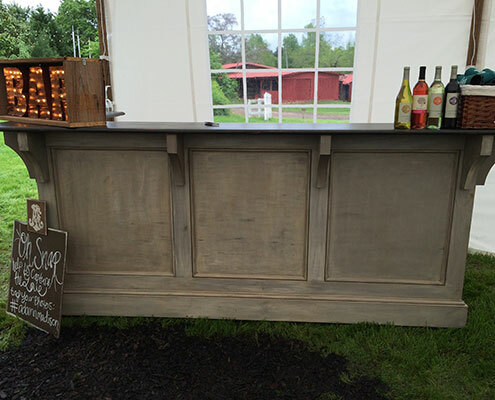 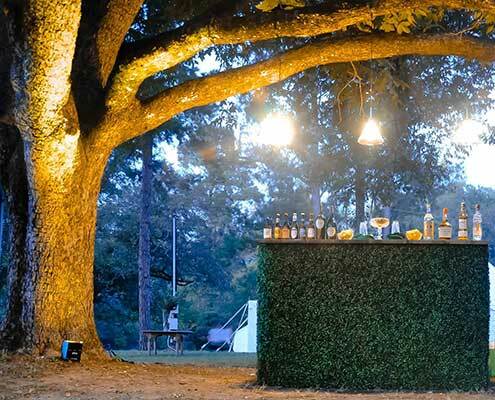 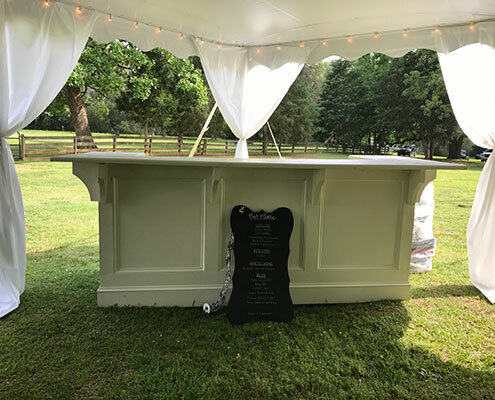 We also offer a Reclaimed Barnwood Bar and a Boxwood Covered Bar, and a Round Wood Bar. 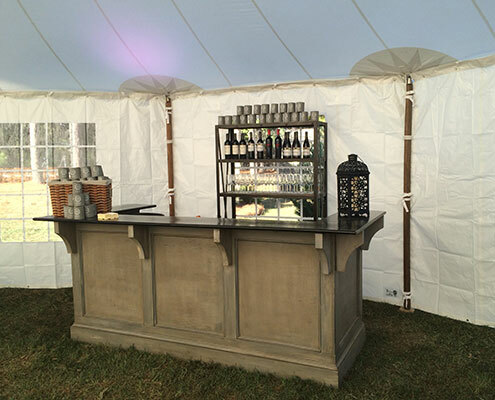 Click the picture to the left to see a gallery of images.